It’s like I thought it would be. Just me and my poem. because they want to hear me. the faces in front of me. I’ve noticed this is a recent trend in poetry for young people-- the school-based poem collection from multiple viewpoints, a distinctive multi-voiced representation of the classroom community. Andrea Cheng portrays a classroom of inner city third graders in Where the Steps Were (Boyds Mills/Wordsong, 2008). Fifth graders populate Helen Frost’s Spinning Through the Universe (Farrar, Straus & Giroux, 2004). And sixth graders are the voices in both Joyce Sidman’s This is Just to Say (Houghton Mifflin, 2007), a collection of poems of apology and forgiveness in an amazing variety of poetic forms. These are all ideal for adapting for readers theater-style performance, read aloud by several volunteers reading in character, with a nearly ready-made script. Or children can choose a favorite character and draw a portrait of what they think she/he looks like, choose a representative poem in that character’s voice, and post it alongside their original drawing. For older readers, several novels in verse focus on school life from the point of view of teen narrators, including: Nikki Grimes’ novel plus poetry, Bronx Masquerade (Dial, 2002), Ron Koertge’s The Brimstone Journals (Candlewick, 2001), or Mel Glenn’s classic Class Dismissed! High School Poems (Clarion, 1982) or Split Image (HarperCollins, 2000). By the way, a “bunyip” is a legendary Australian Aborigine haunting spirit. I looked it up. I’d say this is a fitting metaphor for sixth graders, having taught that age myself for several years! For more Poetry Friday entries, head to Wild Rose Reader. Thanks, Elaine! How do you follow up the multiple award winning book, The Poet Slave of Cuba: A Biography of Juan Francisco Manzano? 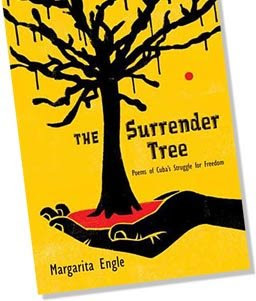 Margarita Engle continues to provide a window into the rich and violent history of Cuba with this new collection of poems from multiple points of view on the several wars for independence from 1850-1900, The Surrender Tree; Poems of Cuba’s Struggle for Freedom. The Surrender Tree also combines real life characters (the legendary healer Rosa la Bayamesa) with imagined individuals to construct a compelling narrative of escape and hiding, heroism and healing. A former slave, Rosa (and her husband) devotes her life to caring for people, both runaways and persecuting soldiers, using only native plants and herbal remedies with skill, compassion and faith—all while living in hiding and on the run. Set in the lush landscape of Cuba’s jungles and caves, the story-poem moves forward moment to moment across three wars fought by natives and fueled by outsiders. The plight of the Cubans themselves is a dramatic counterpoint for any war waged in the name of power and possession. But the decency and dignity of our heroine, her husband, Jos, her young protégé, Silvia, and many who prevail despite overwhelming odds makes for an inspiring and humbling saga. Engle, Margarita. 2008. The Surrender Tree; Poems of Cuba’s Struggle for Freedom. New York: Henry Holt, p. 73. What a powerful poetic voice, inspiring Latina writer, and distinctive ambassador for Cuba’s history. 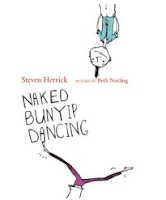 For more Poetry Friday gems, go to my former student's blog, Becky's Book Reviews. Go, Becky! • And again last fall, when she read from her latest book at the Nov. 23, 2007 Poetry Blast at the NCTE convention in New York. Now I’d like to herald the arrival of that new book, Diamond Willow (Farrar, Straus & Giroux, 2008). The twelve-year-old protagonist and narrator, Willow, lives in a small town in the interior of Alaska where frequent snow, bitter cold, and dogsledding are all a part of daily life. Her story unfolds in a series of diamond shaped poems created by Frost to echo the (diamond shaped) scarred wood of a tree that grows in northern climates. Interspersed between the diamond poems are brief vignettes from the perspectives of her animal ancestors that add an element of magical realism. Willow’s journey is both physical, as she proves her strength and independence, as well as emotional, as she copes with secrets and changes that come her way. From: Frost, Helen. 2008. 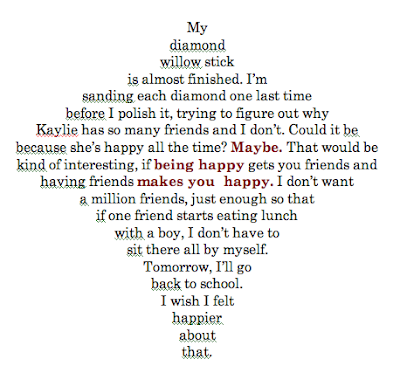 Diamond Willow. New York: Farrar, Straus & Giroux, p. 87. For much more on Diamond Willow, check out the author’s Web site. Helen Frost was born in Brookings, South Dakota on September 3, 1949, one of ten children. She earned her bachelor’s degree at Syracuse University in New York and her master’s degree from Indiana University. She is married and the mother of two sons. She has worked as a teacher in Scotland, Alaska, and Indiana and has long been involved in the YWCA and teen youth groups. She lives in Fort Wayne, Indiana, and her hobbies include hiking, cross-country skiing, kayaking, and raising and releasing monarch butterflies. Frost earned the prestigious Michael Printz honor distinction from the American Library Association for her first book of poetry for young people, Keesha's House. She has authored a play and a screenplay, as well as a resource book for adults who work with teen writers, When I Whistle, Nobody Listens: Helping Young People Write about Difficult Issues (Heinemann 2001). Frost is also a prolific author of nonfiction series readers for young readers reflecting her interest in science and biology. One of the most outstanding features of Foster’s work is her creative use of poetic form in each of her books. This includes haiku, blank verse, sonnets, sestinas, rondelets, acrostics, and more. And she includes explanatory notes on these forms and her reasoning for choosing them for each book. Aspiring writers and poets may enjoy exploring this aspect of her writing in particular. If so, additional guidance and worksheets for trying different poetic formats are available on Foster’s personal web site. Children who want to read more works like Frost’s may enjoy exploring the poetry of Craig Crist-Evans, Karen Hesse, and for older readers, Marilyn Nelson. ALSO THIS WEEK: Happy new CHILDREN'S BOOK WEEK: May 12 – 18, 2008. Join the rest of the Poetry Friday Round Up at Two Writing Teachers. Isn't it exciting to see so many poetry books get this recognition? Finally, beginning this month, my “Everyday Poetry” column will also feature an original poem by a children’s poet alongside my short article. This month, it’s “Keep a Pocket in Your Poem” by J. Patrick Lewis, inspired by Beatrice Schenk de Regniers’ poem “Keep a Poem in Your Pocket.” Thanks, Pat! Readers may reproduce this poem for noncommercial educational purposes, as long as the author and Book Links are credited. The downloadable poem is available here. Enjoy! Join the rest of the Poetry Friday Round Up at Wrter2b. This time last week, poet Janet S. Wong allowed me to share her poem, “The License Plate Game” in honor of the first minting of license plates in the U.S. However, not only did she allow me to post her poem, she encouraged me to share SEVEN different versions of the poem she had contemplated. Then several of you responded with interesting observations (Emily, Cloudscome, and Linda). Well, to top it off, Janet invited some of her poet-friends to comment on the different versions and and several took her up on her offer, including J. Patrick Lewis, Lorie Ann Grover, Rebecca Kai Dotlich, Marilyn Singer, Alice Schertle. Check out the comments area for April 25, 2008. Finally, Janet offered yet another revision of her poem based on all this collective input (posted in the Comments area). HOW COOL IS THAT? And just for fun, I’ll post a fresh poem by Janet from an older collection I love (A Suitcase of Seaweed) . “What you study in school?” my grandfather asks. lemon off the top limb. From Wong, Janet S. 1996. A Suitcase of Seaweed, and Other Poems. New York: Margaret K. McElderry Books, p. 18. Thank you, Janet, for all you do for poets and poetry and kids! For the rest of the Poetry Friday Round Up, go to Big A, little a. Thanks for hosting, Kelly!